In addition to the Howard School Intern and Leadership Program, Lookout Mountain Conservancy has developed three other conservation learning programs for youth. 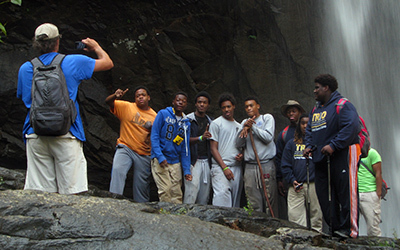 The Environmental Connections Program brings Howard School's 9th grade environmental science students and their teachers to Lookout Mountain Conservancy properties to explore the woodlands of Lookout Mountain. This experiential education component enhances the in-class materials being taught in school. Students participate every other Friday in the fall and spring semesters. Connecting people from all walks of life to Lookout Mountain and each other is part of Lookout Mountain Conservancy's mission. Our summer YouthWorks partnership makes this happen in a big way. YouthWorks is a national, mission-based organization that connects students (ages 11 to 13 years) from around the country with summer volunteer projects. 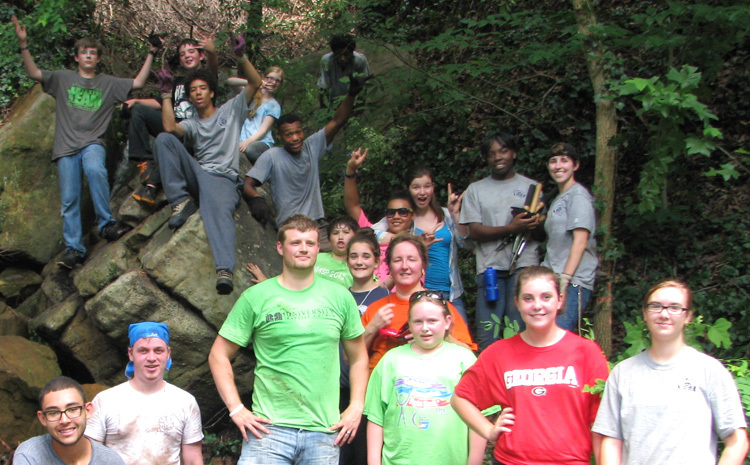 YouthWorks provides Lookout Mountain Conservancy with over 100 volunteers, four days/week each summer, to work with our Intern and Leadership students. 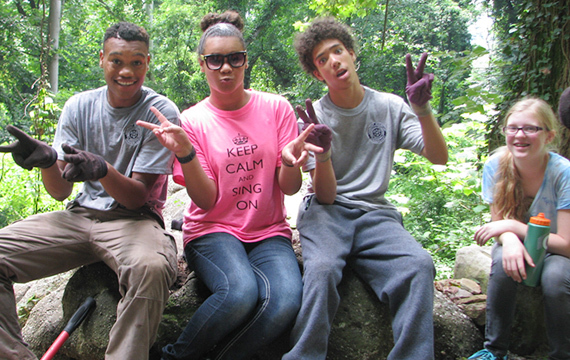 The students enrolled in the Howard School Intern and Leadership Program take a leadership role in mentoring the YouthWorks students as they learn a variety of skills including trail building methods, trail safety and invasive species eradication. A key element of the partnership is sharing experiences and building a sense of community, allowing young people from different backgrounds time to get to know one another and expand their respective worlds. The YouthWorks partnership has proven to be one of the most engaging activities for local volunteers, our interns and the YouthWorks participants. Lookout Mountain Conservancy partners throughout the year with the 6th grade class of the Chattanooga Girls Leadership Academy, a public charter school designed to empower and invest in young girls. The 6th grade classes (50-60 girls in total) work with Conservancy staff and their teachers to tackle academics using problem-based learning strategies. For example, their curriculum might include studying invasive plants and dividing into groups to research treatment options, best management practices and the possibilities of repurposing invasive plants for other uses (medicinal, household, food and livestock feed). Students also learn to identify, map and flag the location of the 32 different invasive species on Lookout Mountain, using a drone to pinpoint locations on aerial maps. For many of these girls, this experience provides a tangible link to the natural world in ways they would not have experienced before. 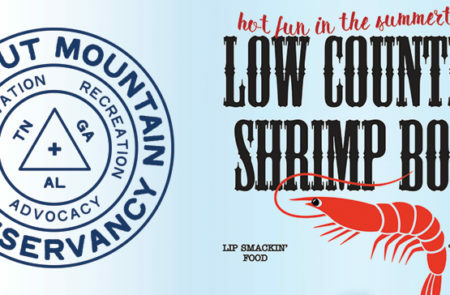 The Lookout Mountain Conservancy is working in partnership with Howard High School, local parents, foundations, and supporters to create what is rapidly becoming a nationally recognized program using Lookout Mountain’s land to teach critical leadership, academic, social, and conservation skills. Students participate on Saturdays, school vacations, and entire summer vacations as paid interns. For consideration, students must have completed the 9th grade Environmental Connections Program and participated in a rigorous application process.